A recently published academic study which proves the historical existence of at least 53 Biblical figures may represent a recent trend in the academic and archaeological world giving unprecedented credibility to the truth of the Bible. Lawrence Mykytiuk, a Purdue University Libraries professor, recently confirmed in a study that 53 figures “mentioned in the Bible have been identified in the archaeological record”. Using archaeological sources and references from outside of the Bible, Mykytiuk established that the existence of at least 53 people described in the Bible is confirmed by the historical record (see below for the full list). Mykytiuk’s study is a watershed moment in the debate surrounding whether or not the Bible is historically accurate and therefore relevant to academia and historic studies outside the realm of religion and theology. “While some would put their hand on the Bible and really mean it when they take an oath, a few revisionist academics would throw it out and say, ‘That’s creative writing.’ I was looking for concrete, objective evidence outside of the Bible that would help build the case,” Mykytiuk, an associate professor of library science, explained in a press release. Mykytiuk’s work confirms that the Bible is indeed supported by concrete proof. Verifying Biblical characters is a passion for Mykytiuk, who began investigating the subject in 1992 as a graduate student in Hebrew and Semitic studies at the University of Wisconsin-Madison. In the course of his studies, he saw an image of a clay impression from a signet ring belonging to a servant of King Hezekiah, mentioned in the Book of Kings and one of the first figures on Mykytiuk’s list. 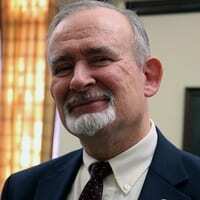 The professor was disturbed at scholars who questioned the veracity of the Bible. 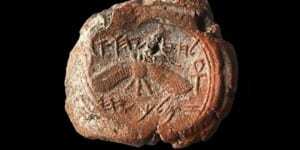 Incontrovertible proof of Hezekiah’s reign in the 8th century BCE was provided when a seal bearing his name was discovered in Jerusalem in December 2015. Dr. Eilat Mazar, the Israeli archaeologist who discovered the seal of Hezekiah in the Ophel excavations and held it in her hands, supported Mykytiuk’s conclusions. The first challenge for Mykytiuk was of utmost importance: King David. Mykytiuk cross-referenced the Biblical references with a wall inscription found at the Tel Dan excavations in northern Israel. Mykytiuk limits his conclusions to what is verifiable. Even when a character is proven to exist historically, it is not a blanket seal of approval for all that is written about that character in the Bible. One such case was a new addition to the list: Tattenai, a Persian administrator under Darius the Great, mentioned in the Book of Ezra. 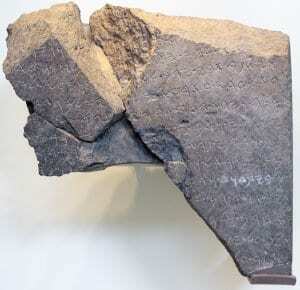 Tattenai is also mentioned in a tablet attributed to Darius from 502 BCE. Mykytiuk uses a three-step process to verify the Biblical characters. He requires that there be at least three different references identifying the individual in the Bible, such as the person’s name, the father’s name, and the person’s title. These Biblical identifiers must must match the same three identifying marks of the individual in inscriptions discovered by archaeologists. Three identifying matches are considered a lock, two are considered a reasonable hypothesis, or even a likely hypothesis for a match, but one match is not enough for a character to make it onto Mykytiuk’s list. He is careful to refer to artifacts with a clear provenance. Artifacts acquired through the antiquities black market are not referenced. His previous study, published in 2014, established 50 characters, beginning with King David, all of whom he says he has verified through this method. The Bible names almost 3,000 people, but the majority of these people are described only by name and little additional information is given about them, making historical verification impossible. In his study, Mykytiuk estimated that the number of individuals for whom the Bible gives enough information to identify them specifically is no more than a few hundred. 1. Shishak: (= Sheshonq I) pharaoh, 945–924 BCE, 1 Kings 11:40. 3. Tirhakah: (= Taharqa) pharaoh 690–664 BCE, 2 Kings 19:9, etc. 4. Necho II: (= Neco II) pharaoh 610–595 BCE, 2 Chronicles 35:20, etc. 7. Hadadezer: king early ninth century BCE to 844/842, 1 Kings 11:23, etc. 8. 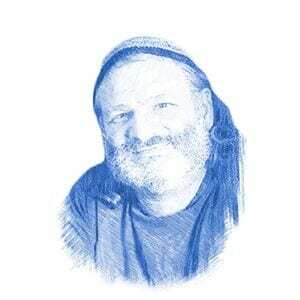 Ben­hadad: son of Hadadezer king 844/842 BCE, 2 Kings 6:24, etc. 9. Hazael: king 844/842–c. 800 BCE, 1 Kings 19:15, etc. 10. Ben­hadad: son of Hazael king early eighth century BCE, 2 Kings 13:3, etc. 11. Rezin: king mid-­eighth century to 732 BCE, 2 Kings 15:37, etc. 12. Omri: king 884–873 BCE, 1 Kings 16:16, etc. 13. Ahab: king 873–852 BCE, 1 Kings 16:28, etc. 14. Jehu: king 842/841–815/814 BCE, 1 Kings 19:16, etc. 15. Joash: (= Jehoash) king 805–790 BCE, 2 Kings 13:9, etc. 16. Jeroboam II: king 790–750/749 BCE, 2 Kings 13:13, etc. 17. Menahem: king 749–738 BCE, 2 Kings 15:14, etc. 18. Pekah: king 750(? )–732/731 BCE, 2 Kings 15:25, etc. 19. Hoshea: king 732/731–722 BCE, 2 Kings 15:30, etc. 20. Sanballat “I”: governor of Samaria under Persian rule c. mid-­fifth century BCE, Nehemiah 2:10, etc. 21. David: king c. 1010–970 BCE, 1 Samuel 16:13, etc. 22. Uzziah: (= Azariah) king 788/787–736/735 BCE, 2 Kings 14:21, etc. 24. Hezekiah: king 726–697/696 BCE, 2 Kings 16:20, etc. 25. Manasseh: king 697/696–642/641 BCE, 2 Kings 20:21, etc. 26. Hilkiah: high priest during Josiah’s reign within 640/639–609 BCE, 2 Kings 22:4, etc. 27. Shaphan: scribe during Josiah’s reign within 640/639–609 BCE, 2 Kings 22:3, etc. 28. Azariah: high priest during Josiah’s reign within 640/639–609 BCE, 1 Chronicles 5:39, etc. 29. Gemariah: official during Jehoiakim’s reign within 609–598 BCE, Jeremiah 36:10, etc. 30. Jehoiachin: (= Jeconiah = Coniah) king 598–597 BCE, 2 Kings 24:6, etc. 31. Shelemiah: father of Jehucal the royal official late seventh century BCE, Jeremiah 37:3, etc. 32. Jehucal: (= Jucal) official during Zedekiah’s reign within 597–586 BCE, Jeremiah 37:3, etc. 35. Tiglath­pileser III: (= Pul) king 744–727 BCE,2 Kings 15:19, etc. 36. Shalmaneser V: king 726–722 BCE, 2 Kings 17:3, etc. 38. Sennacherib: king 704–681 BCE, 2 Kings 18:13, etc. 39. Adrammelech: (= Ardamullissu = Arad­mullissu) son and assassin of Sennacherib early seventh century BCE, 2 Kings 19:37, etc. 40. Esarhaddon: king 680–669 BCE, 2 Kings 19:37, etc. 41. Merodach­baladan II: king 721–710 BCE and 703 BCE, 2 Kings 20:12, etc. 42. Nebuchadnezzar II: king 604–562 BCE, 2 Kings 24:1, etc. 45. Nebuzaradan: a chief officer of Nebuchadnezzar II early sixth century BCE, 2 Kings 25:8, etc. & Jeremiah 39:9, etc. 46. Evil­merodach: (= Awel Marduk = Amel Marduk) king 561–560 BCE, 2 Kings 25:27, etc. 47. Belshazzar: son and co­regent of Nabonidus c. 543?–540BCE, Daniel 5:1, etc. 48. Cyrus II: (= Cyrus the Great) king 559–530 BCE, 2 Chronicles 36:22, etc. 49. Darius I: (= Darius the Great) king 520–486 BCE, Ezra 4:5, etc. 50. Tattenai: provincial governor of Trans­Euphrates late sixth to early fifth century BCE, Ezra 5:3, etc. 51. Xerxes I: (= Ahasuerus) king 486–465BCE, Esther 1:1, etc.